In general relativity, an event horizon is a boundary in spacetime beyond which events cannot affect an outside observer. In layman's terms, it is defined as "the point of no return" i.e. the point at which the gravitational pull becomes so great as to make escape impossible. The registration info can be found here. So far, the X. O., me, and Captain Dan are headed up there. Make plans to attend; if you fly in, the hotel is located right there at the airport (i.e., no vehicles are needed) and there's an outta sight Mexican restaurant at the airport that purveys world class enchiladas and Dos Equis. 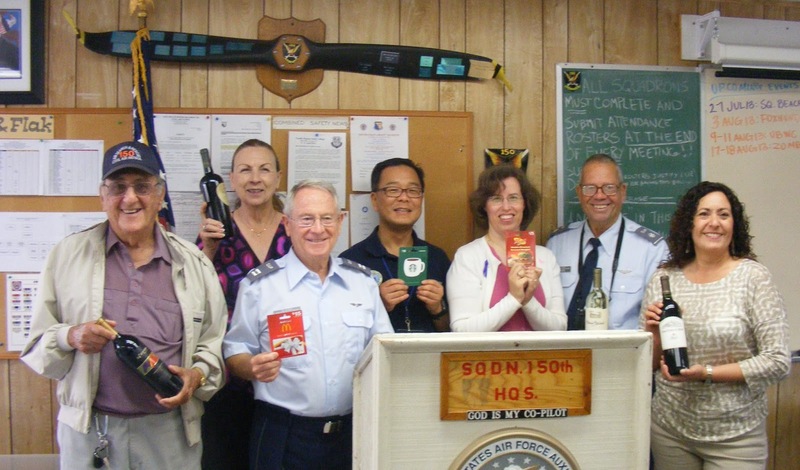 The squadron hosted an open house/family day affair to celebrate the completion of the communications room at Group 7 Headquarters on Saturday, 20 July 2013. After several noble starts and considerably effort, the communications facility was finally made fully operational and the keys turned over to Group 7 Communications Officer Major Gardner Harris, Yosemite 706. But more than that, it was a time to remember one of our unit's illustrious members, 2LT Thomas Gibbons, who served as Communications Officer for the unit from 2005 until 2010. Tom was taken from us in earlier this year and, upon his passing, it was determined that the renovation effort and the results should be dedicated to Tom's memory. 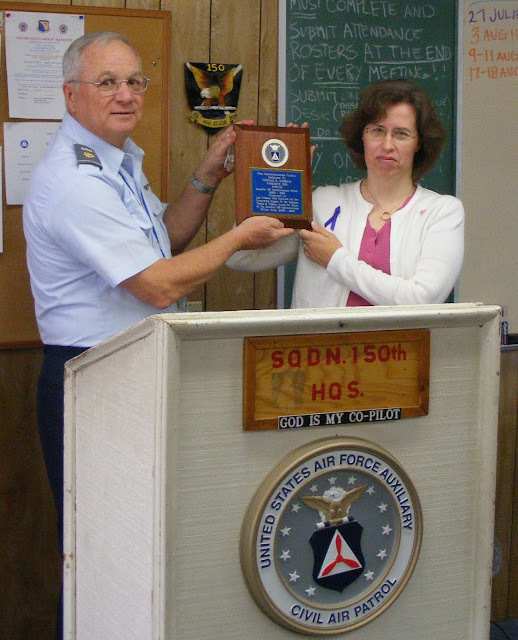 Presented to Lisa Gibbons with gratitude for her unwavering support of her husband, Thomas R. Gibbons, during his tenure as the Squadron 150 Communications Officer from 2005-2010. The events of the afternoon also included a buffet and an impromptu "turning over of the keys" to Group Communications Officer Major Gardener Harris, Yosemite 706, who was extremely excited about the prospect of not having to do comm work out of a glorified storage room. Paul Koons even organized a raffle of prizes for guests. 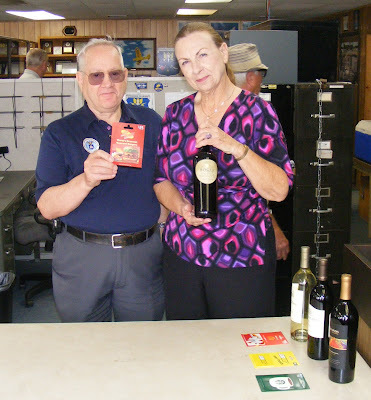 Below are some pictures from the soiree. The initial communications room renovation was started before 2010 and was a prodigious effort by former Squadron 150 member Tom Barbre. Owing to other considerations and organizational changes, that effort ws stopped before fruition and the room languished in inattention until the middle of 2012. The "final push" on the remodeling effort was done by Squadron 150 personnel (with Gar's assistance, of course) and was the culmination of several years' efforts. This project was ramrodded home by 2LT Marty Oh with the considerable help of the members of Squadron 150. 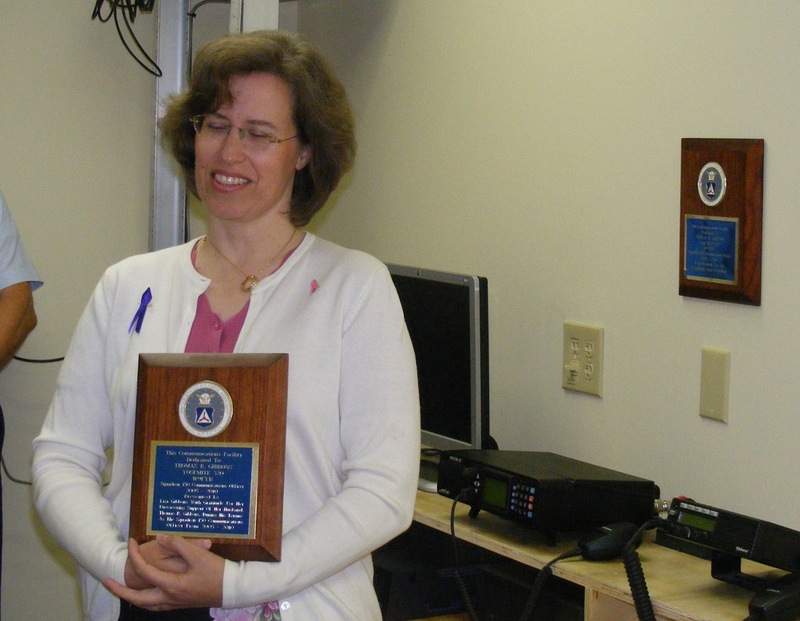 The facility houses the HF and VHF radios as well as the capability to accept additional radios as the needs arise. Additionally, the new Squadron 150 network has its sever and switching rack residing in the room as well. Subsequent upgrades will allow personnel in the communications facility to log events of a SAREX on the computer in the room and have the status displayed on a large screen in the main lecture area. Additionally, the networked computers will allow internet access to workstations throughout the Group 7 building. All of this was brought into being by he considerable efforts of CAPT John Frerichs, the unit's communications and IT officer. The entire party and commemoration was organized by 2LT Paul Koons, the recruiting and retention officer for Squadron 150. He was assisted by CAPT Alexander Smith who ran the final prep group. Thanks are also owed to (among others) CAPT Jerry Civalleri, CAP Mike Cardenas, CAPT John Hill, 1LT Dave Martin, 2LT Robert Hanks, SM Al Valenciano, and SM Melissa Johnson. We loo forward to expanding on the utility of this facility and making it a very useful and used resource for Group 7 and CAP. We are constantly preached at to prepare ourselves for impending doom and a lot of this persiflage sinks in without thought or analysis. Too often, we engage in the knee-jerk reaction of cutting a check for anywhere from $350 up to many thousands of dollars and lay in a supply "survival fare". The comforting feeling of having an immense, nondescript brown cardboard box (or two or even three) sitting in the corner of your garage waiting for the Russkies (or towel heads) to drop the big one surely is calming. But it is, like so much in our life, illusory. Come to the meeting this Thursday and find out among other things (1) what the acronym "MRE" really means and (2) why MREs have more to do with the phrase "drop the big one" than you dared to imagine. Presented by your imperious commander. 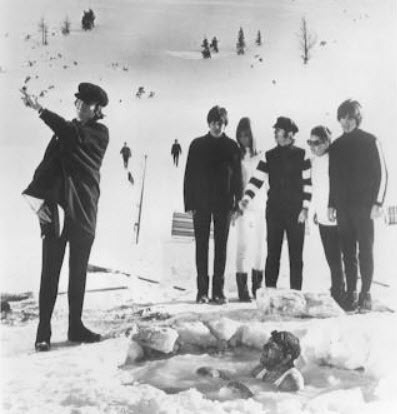 It's a safety meeting so attendance, of course, will get you off the schneid for another 60 days. 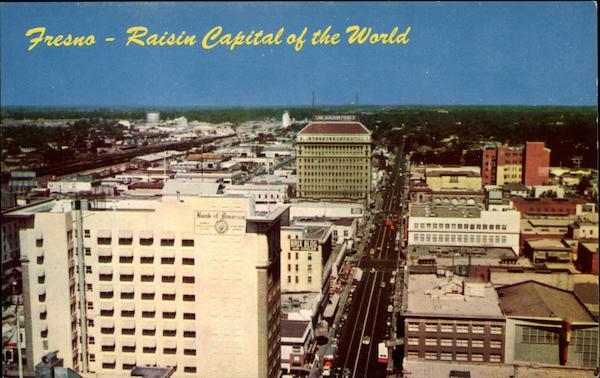 Beautiful, historic downtown Fresno "Raisin Capital of the World"
In addition to providing the premier MP and MO training opportunity of the year, all three locations require base staff of all functions, providing both currency and training opportunities. Ground schools will be held on 20-21 July at KLGB and KOAK, with the flight school on 9-11 August at KFAT. 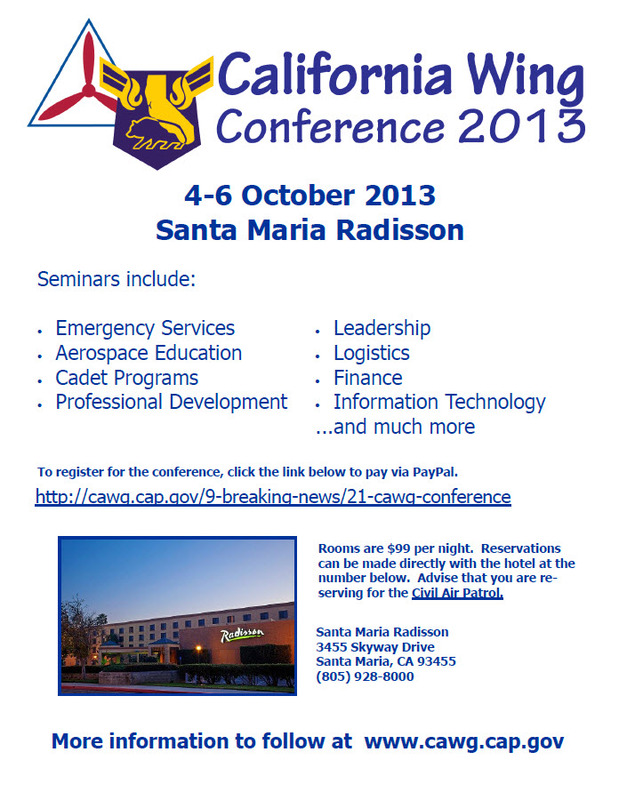 Addtional information and applications are to be found at http://mas.missions.cawg.cap.gov/home. Due to the substantial driving distance (248 mi from KSLI), please advise the Sq 150 training officer of rides offered or wanted. The Wing is only sponsoring one MAS this year. There will be Ground School in the North and in the South with the Flight School being held in Fresno on August 9, 10 & 11. We also need Base staff to run the operation. This is one of the largest events the wing does each year with 12 aircraft. Fresno has secured a 3600 sq foot air conditioned building at the Airport. Transportation funding is available for carpools of 3 or more. Base staff may also catch a ride with aircraft. All members interested in attending in a any capacity are urged to sign up now. There are fossils and other relics of the past, and then there are the active participants with real memories to use and share with others. Which group do you want to be in? Participation cost is $20. CAP uniform and standards shall be adhered (sic). Please reply to the Major David Wallace, Project Officer at david.wallace@squadron57.org. Because of the substantial driving distance from KSLI to KSEE (112 mi), carpooling is encouraged. 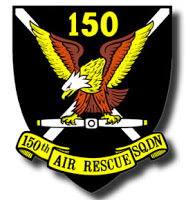 Please advise the Sq 150 training officer of rides offered and wanted.